All public posts and articles are displayed in the main global forum here. Click the Forums menu tab from the main menu. The Forums tab aggregates all posts and articles from the mini forums hosted within Groups. Users can search the Groups directory looking for relevant groups near them or in a category they’re interested in. Anyone can create their own dedicated group page to advertise their services, which is free. One of the great features of creating a group is the ability to host a forum within your group page. Members can then join your group and participate in your forum. Members will also get notified of any new posts you create or events added into your group. 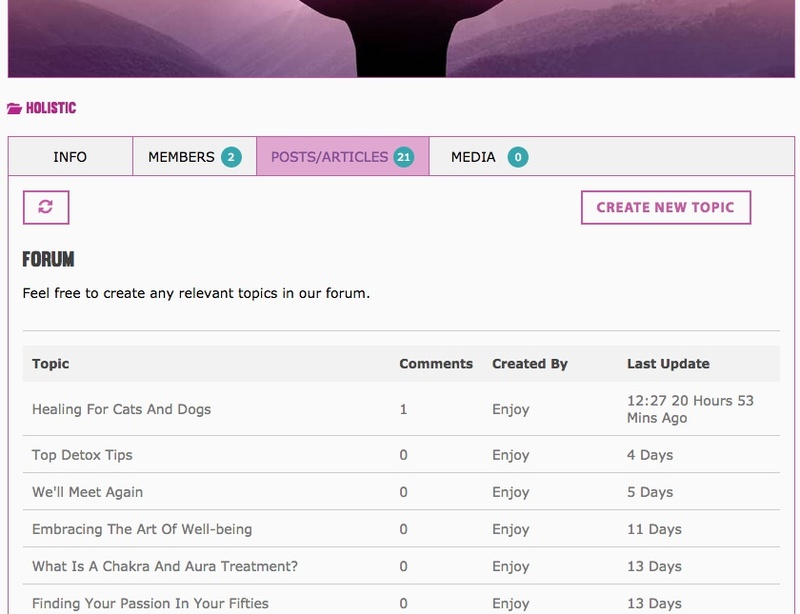 Create your own group page and post a topic into your forum. Or join another user’s group and reply to their comments or posts. You can also create posts yourself in another user’s group if the group admin has allowed it. All members can post comments. All posts are then displayed within the Posts/Articles tab of the group itself and published within the global forum as well, if the group is public. Visit your group page or another group page where you wish to create a post. You can search for groups here. 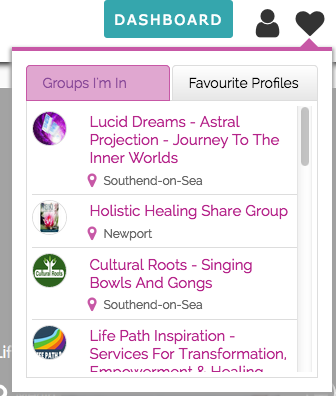 Or use the Heart icon top right of the website to view your groups and other groups you’re in. Click on the group and visit the Posts/Articles tab. If the forum is enabled on the group and you’re a member of the group then you should see a “Create New Topic” button. If you’re not a member then you can use the Join Group button to become a member. Press the “Create New Topic” button to create a new post. 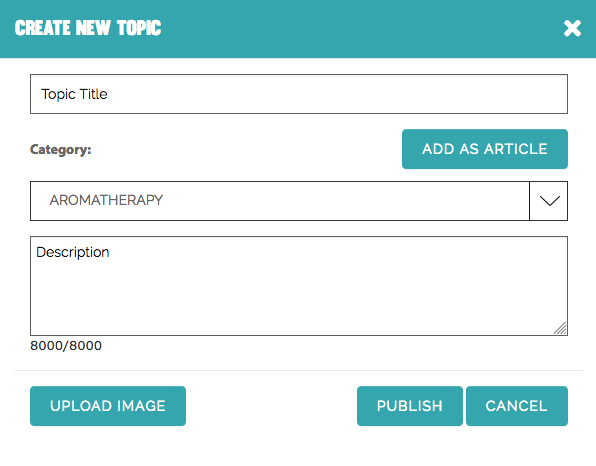 You should then see a “Create New Topic” popup box where you can add your post details. By default the post category will be the group’s default category. However, you can override that and select any category from the dropdown box. If you wish for your post to appear within the main Forums Article category, then press the “Add as Article” button. Make sure you input a title and description which is no more than 8000 chars or approx. 1500 words. You can then choose to upload an image for your post by pressing the “Upload Image” button. An image popup will appear, click the “Browse” button to upload a file from your computer. Then press “Save” to return to the create topic popup. Then once you’re happy, press the Publish button. That’s it. Your post will now be live within the group and in the global forum. When a user replies to a comment, the topic owner will receive an email and a notification alert via the Bell located top right of the website. When a group owner creates a new topic (Post or article), all their profile followers and group members will receive an email and a notification of the new post. When another user creates a new topic within somebody else’s group, the group owner will receive an email and notification.